Star Cunningham is living a big idea. A recognized expert on “Smart” (M2M Learning) systems and wearable technology, with expertise in system migration, process re-engineering, high-speed Internet access product delivery and enhancement, big data collection and real-time analysis, Star Cunningham has traveled the world to solve complex problems. She also manages three chronic conditions. And although she’s had access to the best medical care in the world, she’s personally experienced the gaps in the system that have led to longer hospital stays, medication mistakes and ER visits due to misinformation, and she understands and empathizes with those who may not be as well educated, financially able, or connected to the same level of medical care. Now, as Founder and CEO of 4D Healthware, she’s pioneering a HIPPA-compliant technology platform created to help doctors help patients with chronic conditions adhere to care plans and make the best lifestyle decisions for their health. A Women in Bio Chicago Chapter Board Member, an advisor for the Healthcare Businesswoman’s Association, a member of Health XL—the leading global platform for digital health collaboration—and a member of MATTER—a Chicago based community of healthcare innovators, Star has been listed in Chicago Crain’s Tech 50, 7 Wonder Women of Chicago, 20 Chicago Software Companies to Watch and Chicago’s Top Ten Startup Founders Over 40. 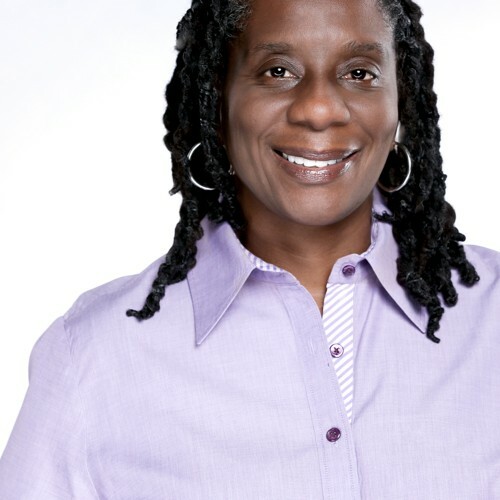 She’s been profiled in Forbes, Crain’s Chicago, Black Enterprise, Physician’s Money Digest and NBC News, is a contributing writer to Entrepreneur.com and participates in supplemental activities for underserved urban youth with Bridge Partnership at Bridgewater State University in Massachusetts. And she’s actively involved with Girls Who Code and Black Girls Code.